We had the pleasure to work on our partners, K44 DESIGN STUDIO website, implementing a minimal web design approach. Our team planned and implemented a communications strategy for the Alexander the Great Rock Opera play for the National Theater of Northern Greece. Our services included: communications strategy, content development, web design and development and social media and web content management. 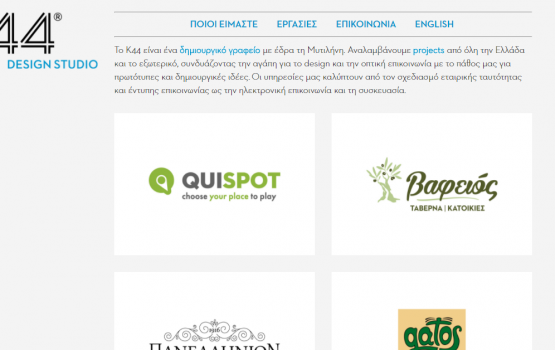 Our team designed the website of Villa Ariadni, a hotel located at Gera’s Gulf, Lesvos island, Greece. For that project we worked along with our partners at K44 Design Studio (branding). Our team designed the TEDxThessaloniki website (2013 – 2016). TEDxThessaloniki is an annual TEDx event which takes place in Thessaloniki, Greece. 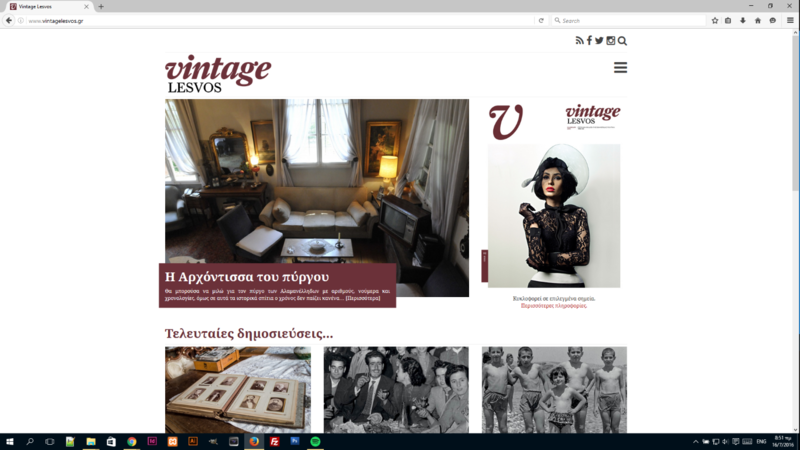 Vintage Lesvos is a magazine about the vintage side of Lesvos Island, Greece, which is being published annually by Politika Newspaper team. We designed the magazine’s website and we consulted the team for social media management issues. 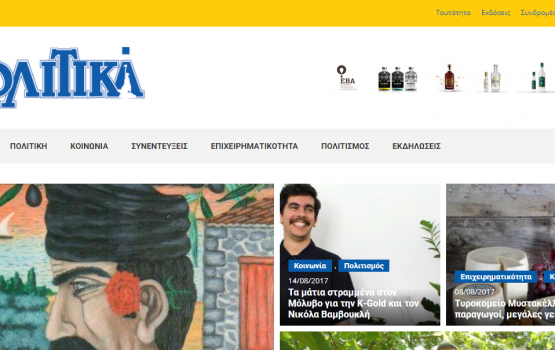 Politika Lesvos is the oldest and the only weekly newspaper on Lesvos island, Greece. We designed their first website on 2012 and since then we redesigned their online edition (currently running version 3). Our team is also consulting Politika and its clients on advertising issues as the newspaper’s main communication and advertising partner.